At MyRangeCooker.co.uk we offer everything from traditional to modern cookers (Range Cookers). You can choose from cookers in various designs, colours and with gas hob, ceramic hobs or induction hobs. We offer brands like Italian Lofra and British Rangemaster. Here you can see Lofra’s latest addition Venezia. A powerful, modern and stylish stove with 5 highly efficient cooking zones, choose between gas or induction. Venezia is a stove for those looking to maximize cooking in the home. 90 cm wide master class that offers 2 ovens with a total of 9 different functions. Choose between matt black or stainless steel finishes. Complete your Lofra stove with fantastic options such as Teppanyaki frying table, cast iron plate and wok ring. Lofra – a little bit of Italy in your kitchen! Here you will find our gas cookers where both the oven and the hob are powered by gas. Perfect for those who want to cook with gas for the sake of taste or who have limited access to electricity. The stove can be powered on both natural gas and LPG. A gas cooker is very efficient to cook on, you achieve the right temperature quickly by increasing or decreasing the gas flame. This gives you a control of the temperature that is more accurate than when cooking with induction or ceramic hob. 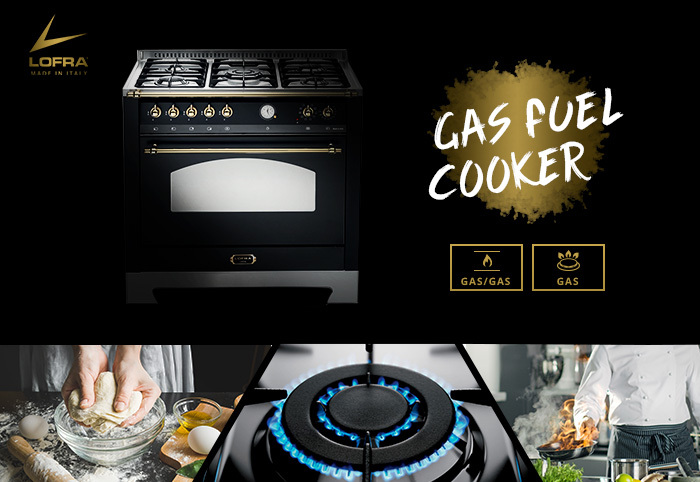 Therefore, today gas is the obvious choice of several of the world's master chefs. In true classic rangecooker style, but with modern features. 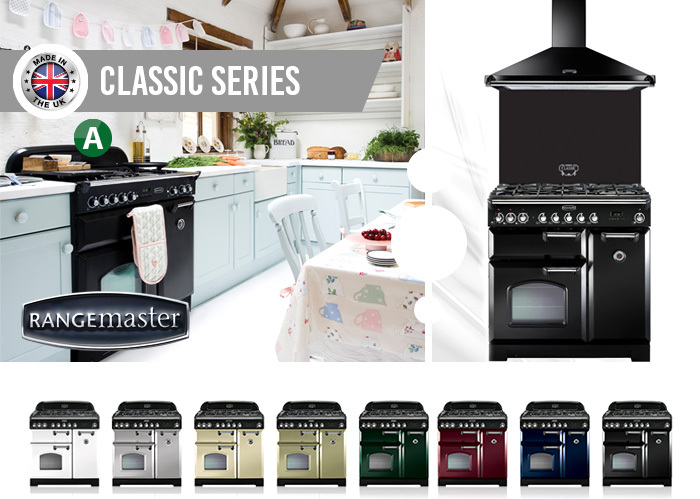 These classic cookers are inspired by the classic AGA model and comes in a varitey of colours and sizes, allowing you to customize your cooker after your kitchen. This series includes Classic Deluxe and Elan and comes in Both Dual fuel, ceramic and induction. Our modern series will impress a home chef as well as a professional chef with its high-performance features and sleek design. Comes in 90, 100 and 110 cm with both ceramic, dual fuel and induction. The modern series includes Professional Deluxe, Nexus and Kitchener. Here you will find Lofra’s Dolce Vita cookers with brass details. 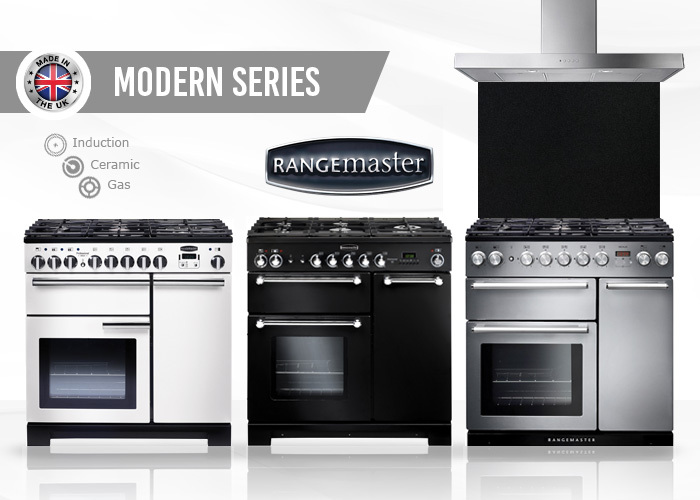 Tradition, combined with the best technology, gives you a world-class cooker or kitchen package. Enjoy the freedom to choose for yourself which appliances you want to have in your dream kitchen. We offer everything from a luxurious oven to the total kitchen package with oven, splash guard, fan, dishwasher, and refrigerator. 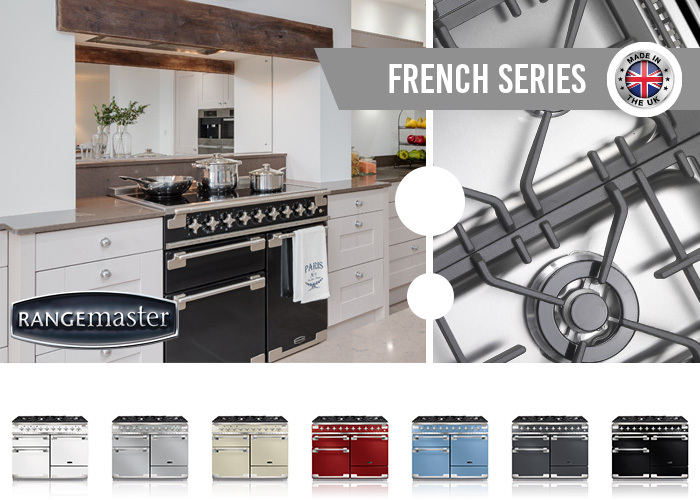 The oven collection is available in 6 different colours! Here you will find Lofra’s Dolce Vita cookers with chrome details. 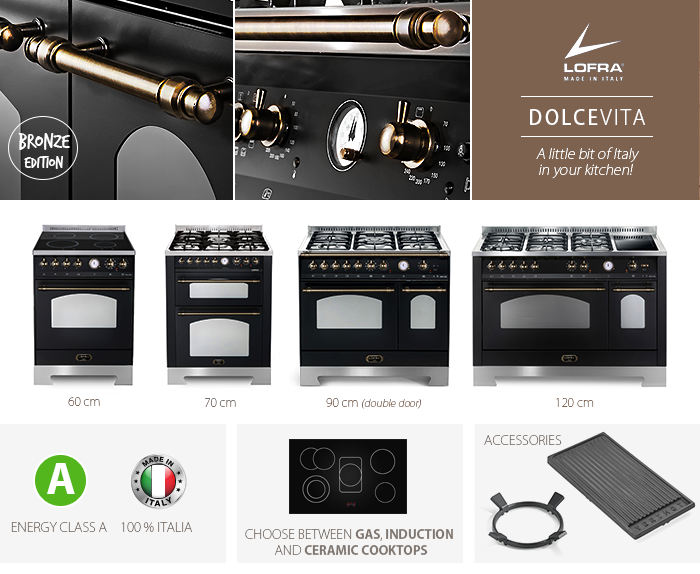 With unique details and lots of smart features, Lofra Dolcevita Chrome Edition offers you a world-class cooker. This cooker has a modern, luxurious style and is available in a total kitchen package in different sizes and colours. A little piece of Italy direct to your home! 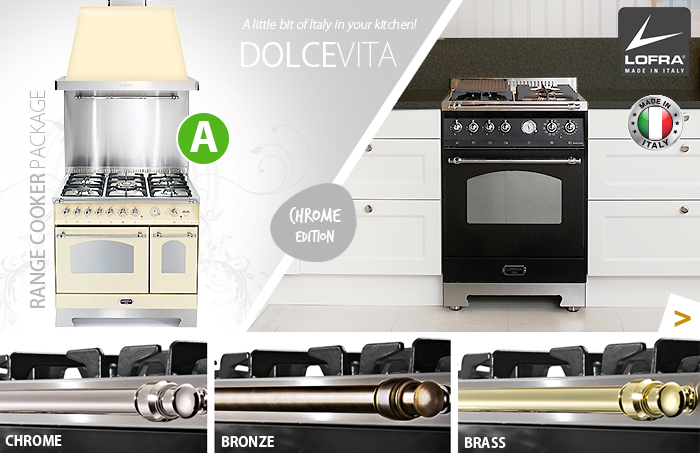 Here you will find Lofra’s Dolce Vita cookers with bronze details. 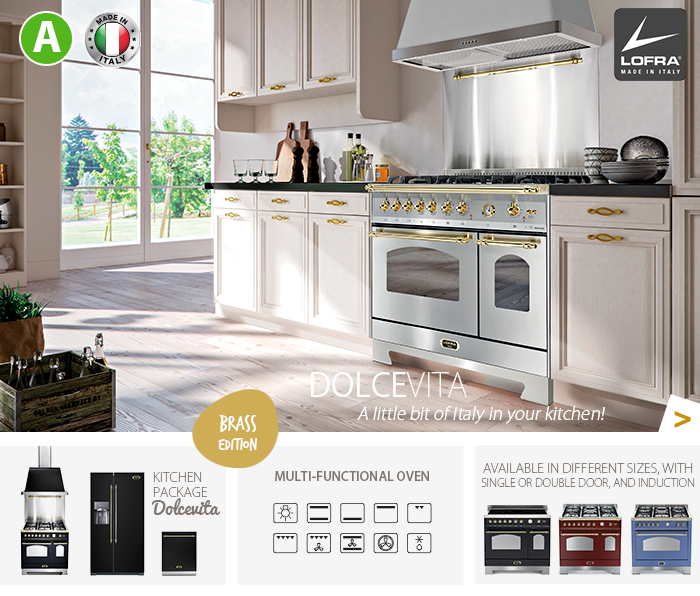 A Lofra Dolce Vita will make your kitchen complete – pick and choose what is best for you, with ovens in 4 different sizes, 3 different hobs, and loads of cooker accessories! It is more and more popular to build-in your oven and it is a great way to save space in your kitchen. 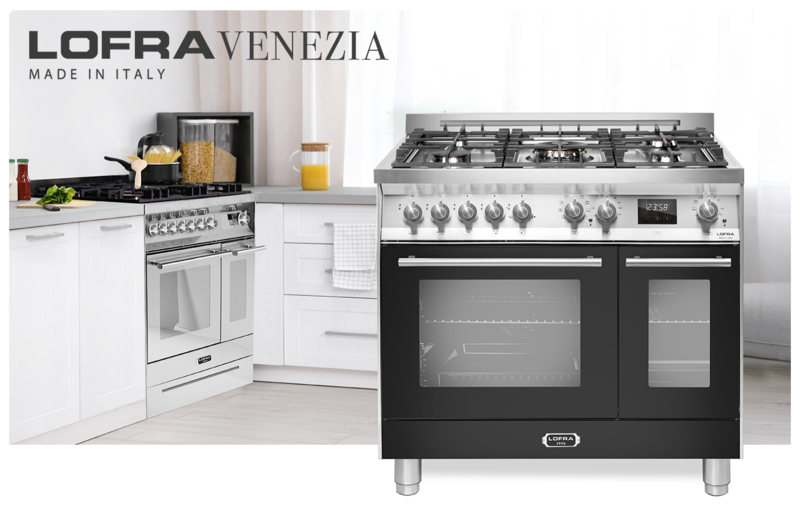 Dolcevita’s built-in ovens and hobs, from the Italian family-owned company Lofra, are stylish products where genuine quality and modern technology merge in the very best way.